Discussion in 'iPhone and iPad Games' started by budget_planner, Apr 16, 2015. 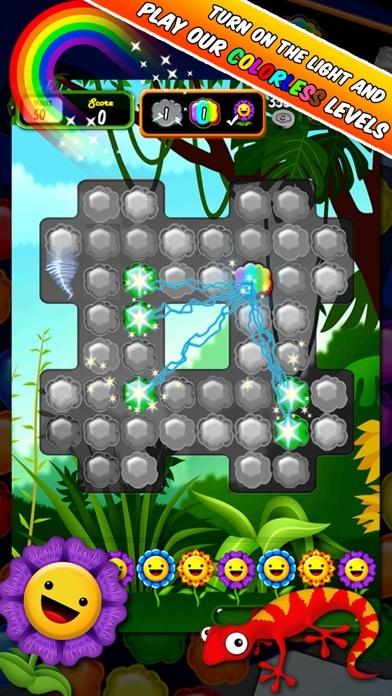 Could Quest is a match-3 game for the iPhone and the iPad with hundreds of levels and several modes of game play. It will have you multitasking your skills to achieve one single goal. 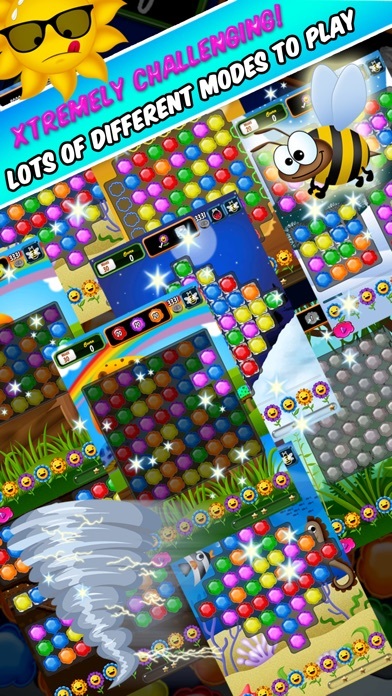 You will see clouds going up, things moving from left to right, some levels are colorless, some are timed and while you are matching your clouds to achieve the points and unlocking extras, you will need to defeat the hungry worm that eats your flowers every 7 seconds; and this is only 1 of the 4 goals each level brings. Twelve crazy challenges to choose from. This is not your typical video game to entertain you while you are waiting in line. 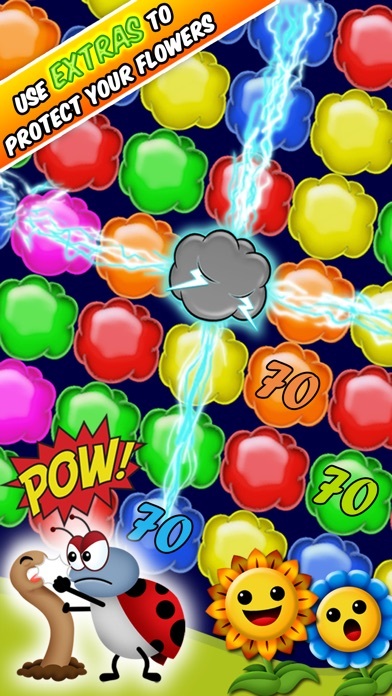 It will drive you nuts but leave you curious to see what's next, you will want to beat your friends score, and put your name in the hall of fame of Game Center. We guarantee you won't be able to put it down after you are done playing the first levels. Even our game testers agreed that it was one of the most challenging games they have ever played. "that’s what makes it so addictive." 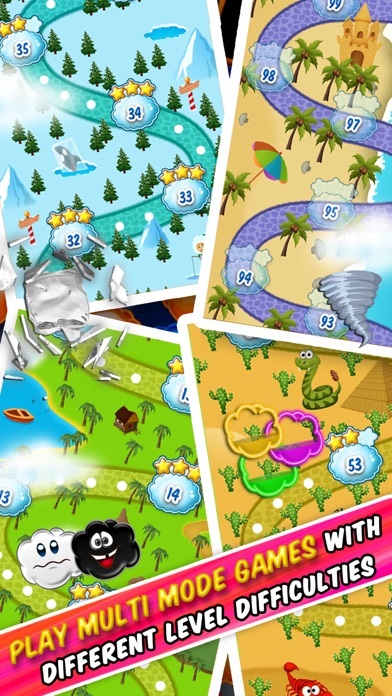 but don't rely on what we say, get CLOUD QUEST from the iTunes store and bring your gaming to a whole new level of fun!